LIBERTYVILLE, Ill. (WLS) -- A wrong-way driver killed in a crash that also killed an Illinois State Police trooper on over the weekend was identified Monday. Dan Davies, 44, of Calumet City, was identified to the Lake County Coroner's Office as the wrong-way driver in a Saturday crash on I-94 near north suburban Libertyville. Lake County Coroner Dr. Howard Cooper said an autopsy performed Monday showed Davies died from multiple injuries due to a car crash. Toxicology results are pending. Trooper Gerald Ellis, 36, was on-duty in his squad car traveling home on westbound I-94 just east of the IL-176 exit when Davies, who was traveling eastbound in the westbound lanes, struck him head on. Ellis was transported to Advocate Condell Medical Center with life-threatening injuries, where he was pronounced dead. An autopsy performed Saturday showed he died from multiple injuries due to a car crash. Toxicology results are pending. "We have met with Trooper Ellis' family and our deepest condolences go out to them. His death is truly a tragedy for his family, the Illinois State Police, and law enforcement everywhere," Cooper said. An investigation by Illinois State Police and the Lake County Coroner's Office is ongoing. 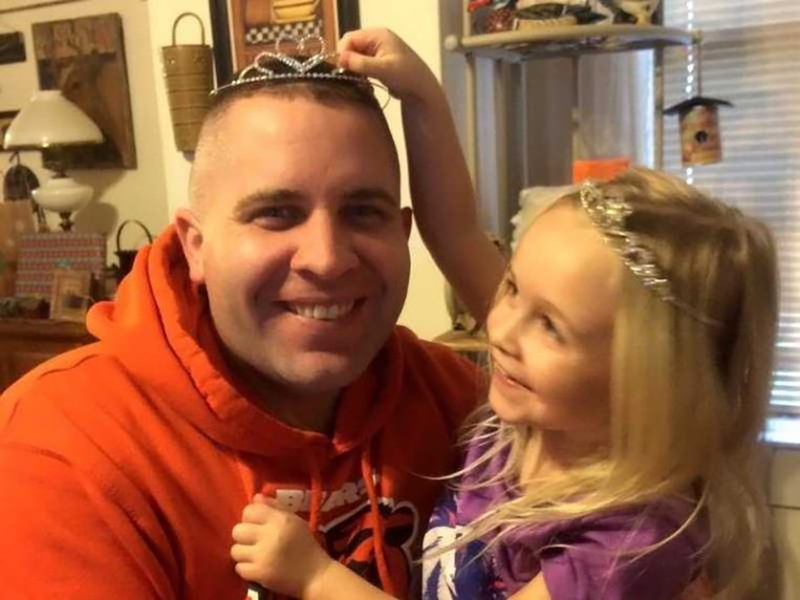 Ellis is the third ISP trooper killed in a crash since the beginning of 2019. The body of Trooper Ellis was escorted Saturday by law enforcement to the coroner's office in Waukegan. There will be increased patrols and enforcement zones across Illinois as part of a crackdown on drivers caught using handheld devices. April is National Distracted Driving Awareness Month. "Those who providing service to those of us in need and they lose their life for it. That's a violation of all laws of human decency. That should not occur," Illinois Secretary of State Jesse White said. The head of the National Safety Council based in Itasca said distracted driving is becoming more commonplace and more dangerous. The council plans to release results later this week of a study showing the risks to emergency responders from distracted drivers. They call the results "alarming." "They're putting themselves on the line every time they step out of the vehicle to save a life or to write a ticket. So we have to follow the laws that are on the books," said Nick Smith, the interim CEO of the National Safety Council. "How many of these incidents could have been avoided if motorists were simply paying attention?" Illinois State Police Director Brendan Kelly asked. State police said they have dramatically increased the number of tickets they've issued in Illinois for distracted driving and the Secretary of State said the penalty for the first offense will get more serious, counting as a moving violation, starting in July. "Terrible things can happen. There of been terrible things happening here in Illinois and I'm not happy about it," Secretary White said.